The Global Recycling Day promotes the use of better technologies for the waste enhancement. More attention has to be paid to companies which provide high levels recovery solutions in order to realise this project, avoiding faint and illusory advertising campaigns. Some companies promise top productivity results just on paper, that actually cannot be achieved, leaving clients at the mercy of problems. It is very important to select the right company both for the supply of machines and also for complete plants. The investments of companies in research and development is a distinctive trait. These can be carried out inside the company or in partnership with universities research departments. Both methods have the aim to introduce innovations for clients. Patents is the final confirmation of high quality. One of the most important factor is the predisposition of the supplier in listening and solving the clients problems. A top quality product has its basis on solid Costumer Care procedures. From the tailored productive cycle development, till the treatment aimed to maximise the treated materials’ commercial value. 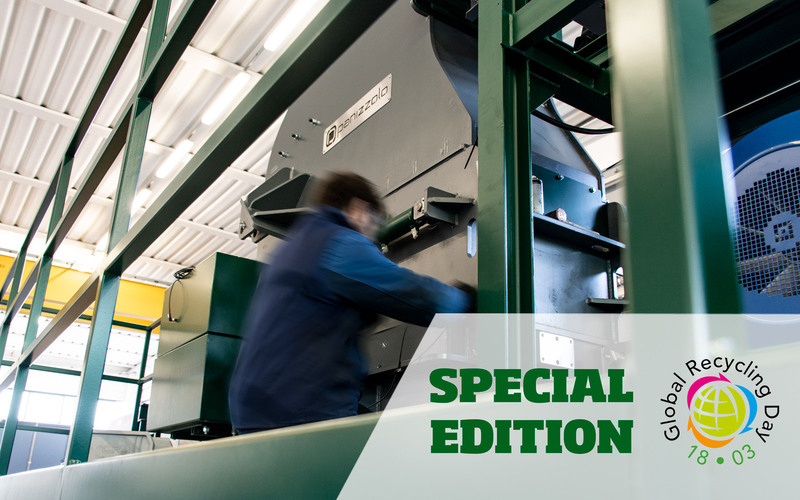 Additional value consists in the pre-assembly and test before the start up. Only few companies focuses on a fast installation to maximise the time for the staff training. An excellent example, for waste treatment is the hammermill. An underestimated machine but essential for the economic enhancement of metals. The grinding process and the volumetric reduction enable to pre-treat or refining waste like electric motors, aluminium profile, cans, mix RSU, shredded collection, WEEE and other kind of waste. The mix outputs can be then conveyed to separation systems. A top quality hammermill is able to provide financial and productivity benefits. For this reason we have to consider on the technical plan words like quality, reliability and productivity. Some concrete examples can be made. The grinding chamber need to have armours, so the external structure will be protected from wear. During the working process the mill is subject to high efforts, so it is strategic important the choice of carpentries and welding. Comparing different mills which treat the same input material, we can note that in poorer models, wears appear also after a short period of use. This problems do not occur in other models with specific construction features even after several years of use. Another yardstick are the components subject to wear. The material that makes up the hammers, need to be specially designed. Waste contained abrasive materials need to be treat with hammers, armours and grids which enables long working cycles, guaranteeing a top quality of the output product. The applied technology has to be functional and easy to use for the operators. Maintenance and the change of setting for the different treatments (possibility to grind different types of waste) need to be carried out in short time. This few examples are obviously related also in economic benefits. In the future waste will be always more complex to enhance. In order to concrete the Global Recycling Day aim, it’s important to distinguish the companies like Panizzolo, that are able to provide solutions for metals enhancement and to maximize companies productivity.